The item Mr. perfect : Mr. Men Series, Book 42., Roger Hargreaves, (ebook) represents a specific, individual, material embodiment of a distinct intellectual or artistic creation found in Charlotte Mecklenburg Library. They're back! Rediscover the zaniest and most lovable characters you've ever met in the Mr. Men and Little Miss series&#8212;the best-selling, timeless, and universal books, which have sold millions of copies worldwide. Digitally available for the first time, these bright, charming books, with their easily recognizable characters, are easy enough for young readers and witty enough for adults. This fantastic read-to-me edition is read by Audie and Grammy award-winning narrator of Harry Potter, Jim Dale, who perfectly captures each character's unique voice and personality. Get ready to fall in love with Mr. Men and Little Miss books all over again or for the very first time! 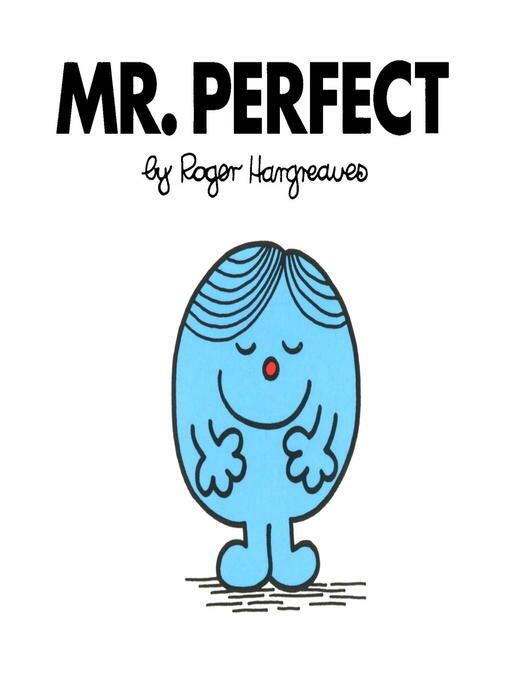 Mr. perfect : Mr. Men Series, Book 42. Mr. Men Series, Book 42.